Magnetisation is transferred from 1H to 15N via cross polarisation and then selectively to the 13CO using specific cross polarisation. The chemical shift is evolved on the 15N nuclei and detected on the 13C nuclei. 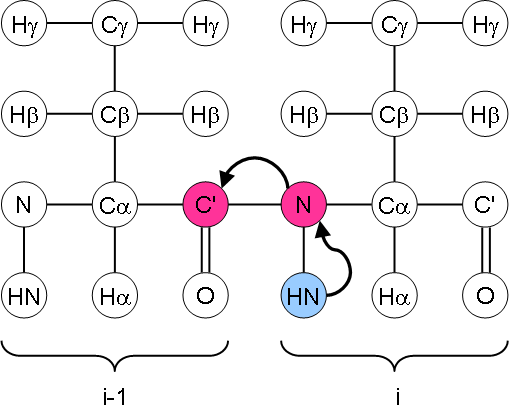 This experiment can be used to obtain sequential links from Ni to COi-1 but for larger proteins, this is liable to be rather crowded and the 3D NCOCX experiment will probably be more useful.